Do we Really Talk About Safety all the Time? With Health and Safety being high on many organisations’ agendas it is not surprising that people often say to us “We talk about safety all the time”. It would, therefore, seem redundant for us to keep running programmes about how to have safety conversations if everyone is already having them. Scratching a little deeper, however, can reveal just what a lot of those safety conversations are about. Most safety conversations our trainers encounter onsite are either functional or correctional. In a nut shell most people either ask about how the job is going (“Is the permit correct? Have you got your method statement?”) or they see something that is not quite right and correct it, (“Put your glasses on mate”). Now there is nothing wrong in finding out how the job’s going or putting something right, but are we missing a trick here? Well for a start, how about listening as much as talking? 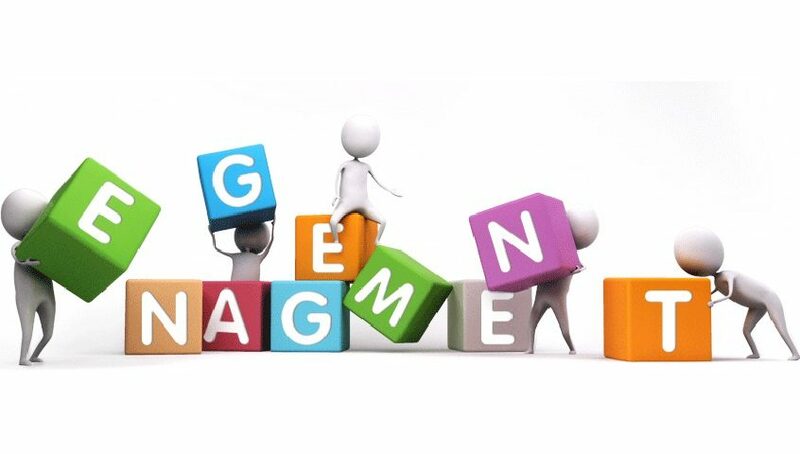 Very often the people at the sharp end have a wealth of knowledge regarding safety in all areas of the organisation and know of problems or improvements we may never have never have considered. They may be contractors used to working in many different environments and have been exposed to safety innovations that could enrich our safety culture. We will never know unless we ask them – and moreover, ask them in the right way. Our trainers are experts in the field of coaching effective safety conversations and they know that it’s only by fine tuning the communication skills of managers and supervisors we can tap into that rich seam of knowledge that lies below the surface in all organisations. Approaching someone in ‘telling’ mode just isn’t good enough anymore. That’s why the best programmes focus on the key skills of Impact and Influence. These are absolutely essential to effectively engage people. And it’s only when people are really and truly engaged that they begin to open up about the knowledge they already possess. And you’d think after all the time we’ve spent at work that everybody would be experts at it by now? Wrong! Effectively engaging people through a coaching approach is a specific but learnable skill which, in our experience, can be sadly lacking in many organisations. But guess what? As well as being a great one to learn, it’s also great fun to learn – and once you can do it, it will revolutionise your company’s safety performance. So get your thinking cap on and figure out how you can best engage those that you’re trying to influence! If you have a story, an experience, or even a view point to share, that relates to health and/or safety, we’d love to hear from you. Please send your blog to info@nwcsg.org.uk and we’ll do our very best to share it! Mental Wellbeing – Are you a Supportive Employer? In the first of our planned series of guest blogs, Chelsie Gladstone, Health & Safety Advisor at L & W Wilson (Endmoor) Ltd shares her very personal experiences and explains how we could all do more to support those facing mental health issues. “I am the daughter of a mother who committed suicide so mental well being is a subject that I am all too familiar with and have always been empathetic about. My mother took her own life 28 years ago when I was just 2 years old. Mental health wasn’t a subject that was widely discussed or understood then and my mother’s mental health was only apparent after the event and the extent only became a realisation once the inquest concluded. It is wonderful to see, as an industry that we are recognising this, still taboo subject, and trying to do more to help those in need. Some days in work my phone can be non-stop. I can feel like Dear Dierdre occasionally, listening to personal issues, work issues etc. Do I mind? Absolutely not! I would rather take the calls, be that person to listen, advise, help! Doing whatever I or as a business, we possibly can! 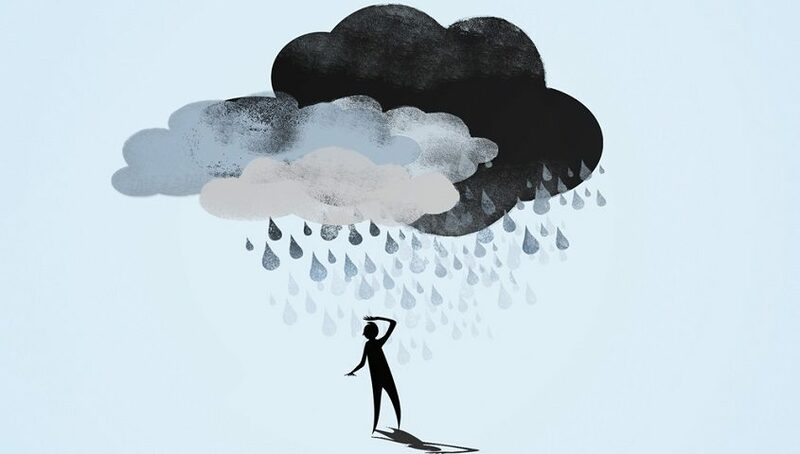 We have currently got an employee who suffers from severe depression and anxiety. This employee is one of our top performers. We don’t and can’t rely upon him, we just ride with him. He may be in one week and not the next. Some people would ask why do we bother and persist with his employment? It’s because we want to! He explains that some days he will get up, shower, get changed have breakfast and gets to the front door and just cannot physically leave. Other days he comes in and is one of the happiest employees we have, the usual mental health signs! We make sure we accommodate what he is happy with, his work time, the people he works with! This is an illness he has battled with from a young age. An illness where he has had Cognitive behavioural therapy (CBT), various medications, appointment after appointment but ultimately an illness where he has battled with people who don’t understand. Whilst we are running a business, who are we to say that this employee can’t work if he wants too?! There will certainly be no benefit in terminating his employment that won’t help him or us. It would also add a financial burden to his already existing issues. Whilst he and his Doctor are happy with our mutual agreement, then we are all happy! We will continue to monitor each and every one of our employees and make the necessary adjustments where required. As we know mental health doesn’t look unwell does it?! We would hold a door open for someone in a wheelchair! I may be a ‘suicide’ daughter but I will always be a mental health friend! I was too little to understand and know what I do now…. I couldn’t help then, I didn’t know how to listen or what to say! 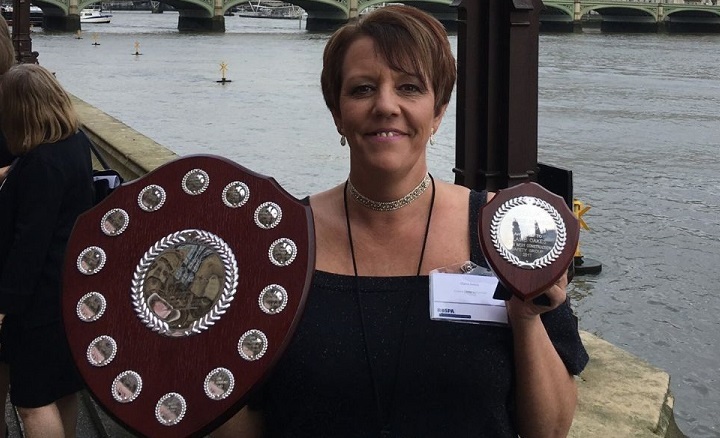 The dedication and hard work of our Vice Chair, Claire Oakes, has been formally recognised and rewarded at buffet lunch event, held at the House of Lords, by being named as the winner of the Maurice Adamson Award for 2017. The award, which is open for nominations for elected members of any of the UK’s Safety Group’s Committee Members, serves to recognise ‘The Outstanding contribution from an individual to the Safety Groups Movement’ and is just reward for the diligence Claire has shown in her various roles on NWCSG’s Executive Committee over the past 12 years or so. 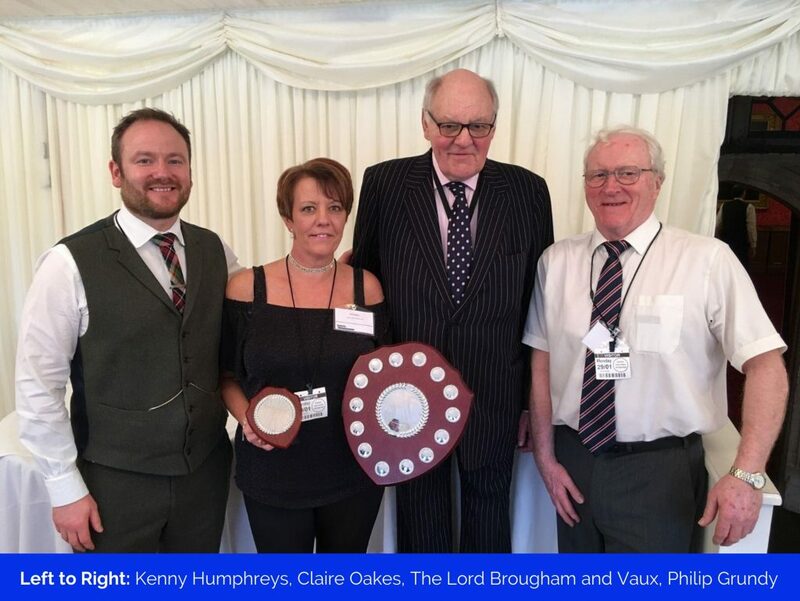 The event, which was attended by the great and good of Safety Groups UK’s membership, saw Claire presented with her award by The Lord Brougham and Vaux, President of SGUK. Claire was accompanied on her visit to London by Kenny Humphreys, NWCSG Chair and Philip Grundy, the Group’s PR Officer. 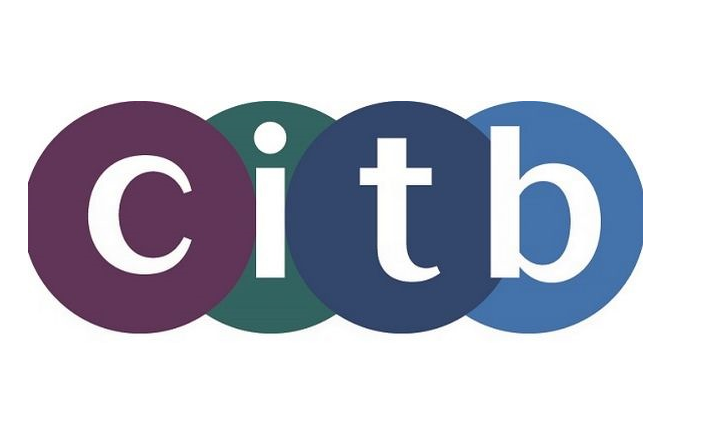 CITB Propose Levy Changes – Have Your Say! scheme, but that YOU have a chance to input before the proposals are finalised. It may be worth you taking the time to watch this video and considering whether you should attend one of the nationwide employer events! 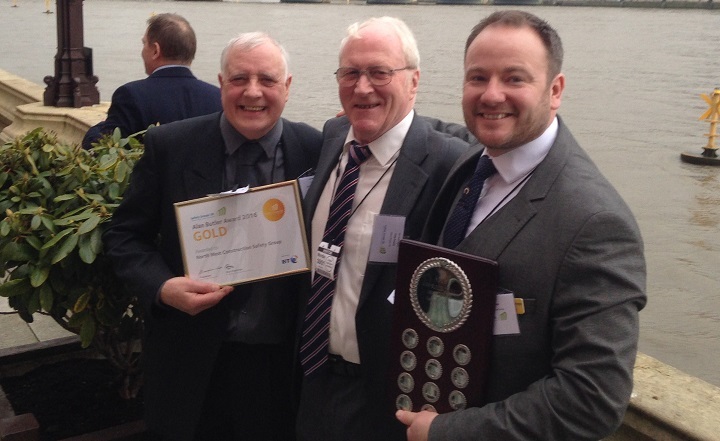 NWCSG Win Coveted National Prize! We are thrilled to announce that the North West Construction Safety Group has been named best UK safety group at a prize luncheon held at the House of Lords! The Alan Butler Awards, arranged and fronted by Safety Groups UK, the umbrella organisation for UK safety groups, are intended to be an opportunity to recognise, celebrate and communicate the success of Safety Groups and individuals. Following on from the silver award we received in 2015, both the gold and overall winner awards mark a significant step forward for the Group. Three of the Group’s Executive Committee members, Kenny Humphreys, Neil Taylor and Philip Grundy, travelled down to the awards, held at the House of Lords, to attend the Luncheon and the various winners were awarded their prizes by the Lord Jordan CBE. Speaking after the event, Kenny Humphreys said, “We were delighted to win the Gold Award. The Executive Committee have worked tirelessly for the past few years, promoting the Group and Health and Safety in general and the award was recognition of that. We had no idea whatsoever that we had been shortlisted, so when the Overall Winner was announced as NWCSG, we were literally speechless. Those that know me will confirm that being speechless doesn’t normally apply to me! When asked if he’d partaken in a few celebratory drinks after the event, Kenny declined to comment, but I think we all know the answer to that question anyway!